1. One of the craziest things of my life happened on my way back home on Friday. I got to Union Station at just the right time and was near the front of the line to board my train, meaning I got a coveted window seat. I arranged myself and was playing on my phone when a guy asked me if it’d be okay if he sat in the seat next to me. I said sure, and then immediately took out my headphones, because I really didn’t want to have a conversation with a stranger for the duration of my trip home (#realtalk. Sometimes I don’t mind chatting with my seatmate, but other times…I definitely mind. Plus, I had music I really did want to listen to.). The guy got up and walked away for a moment, and when he came back, I looked at him and just about fell out of my seat. It was, without question, a kid I had gone to Sunday School with when I was in second through fourth grades. I honestly don’t think I’ve seen this guy once since, oh, probably 2000, but there he was, sitting next to me on the train. I did not like him at all when I was a kid, so I didn’t strike up a conversation, but it was still a mind-boggling occurrence. The world is incredibly small sometimes! 2. After having the craziest experience of my life on Friday, I had the BEST day of my life on Saturday at my parents’ house. We all know by this point how much I love birds, and my parents get pretty birdie visitors all the time. However, I’ve long suspected that the pretty birdies know when I’m coming home, and choose to not make any appearances to spite me while I’m there. Not this time, however! My parents had a rose-breasted grosbeak visit the week before last, so I figured I would miss him, but he came to visit the bird feeder twice while I was there! That was all well and good for me, since one pretty birdie sighting already exceeded my expectations. Then, while I was in my room looking out into the backyard, I saw a bird fly up and perch on our chainlink fence. I didn’t think too much of it, until he turned around and revealed himself to be a BLUEBIRD!! In MAY!! They usually come to visit in the wintertime, as you can see here. My mom had seen a bluebird not that long ago, and wonders if a bluebird family has nested near our house. That would motivate me to go home more often! Bluebirds are one of my favorite kind of birds! The day continued on, and I was laying on the couch like a schlub, watching Big Bang Theory, when I saw a blue flash through the sliding doors. I gasped – it was an indigo bunting. My parents had one indigo bunting sighting last year in their yard, but I haven’t seen an indigo bunting…since high school? That’s the last time I remember seeing one, at least. While rose-breasted grosbeaks and bluebirds are rare sightings for us, indigo buntings are beyond rare. You can pretty much count on a rose-breasted grosbeak hanging around for a week or so annually, and the bluebirds make, I don’t know, I’d guess maybe five to seven appearances per year, whenever the spirit moves them. But if we get one indigo bunting per year, that’s awfully lucky. He continued to flit around our backyard for a little bit, and then returned again on Sunday, when we actually saw TWO indigo buntings hanging out with each other while my grandma and aunt were over to visit–which was just wonderful, because my grandma especially likes birdies just as much as I do, so I was so happy she got to see one of the prettiest birdies in the Midwest. I also saw a couple hummingbirds, which was the first time hummingbirds had come to visit my parents’ feeders all year. Though maybe that has something to do with these other guests, who seem to think the hummingbird feeder is meant for them. Just a goldfinch chilling on the hummingbird feeder, despite the fact that his beak is too big to even access the sugar water for the hummingbirds inside the feeder. There’s a little space for regular water in the middle of the feeder (it’s meant as an ant/bee/other-bug-that-would-be-interested-in-sugar-water trap) that the goldfinches drank out of once they gave up on trying to get to the sugar water (ignoring the huge pool of water meant just for them at the birdbath literally five feet away from the hummingbird feeder). And THEN, to top everything off, we had a wren come visit! My dad got a wren house for…his birthday, I think?…last year, and hung it up in our backyard this year. Wrens aren’t all that much to look at, compared to indigo buntings or rose-breasted grosbeaks, but the boys sing a very pretty song when trying to get a lady. Apparently, boys build several nests in different locations, then sing a pretty song to court a lady, and then take her to all the nests he built, and she gets to pick which one she likes best. So we don’t know that the wrens will make their happy home inside Dad’s little wren house, but at least there’s a chance! So yeah, Saturday was the best day of my life. Speaking of bird nesting habits, however, I’ve had a house finch couple come to visit me (ME! In CHICAGO!) on Tuesday and Wednesday morning. They are absolutely fascinating me. Both the male and female come together, but the female pecks at and pulls strings from my planter liners (which is fine – she’s pecking at the old one I almost threw away but decided not to just in case it would attract birds looking for nesting materials) while the male just sits there and supervises. Once the female has gathered everything she wants, they fly back to their home (just down the alley from my deck, in the ivy covering a garage/coach house), and then come back maybe 20 minutes later or so and repeat the whole process. I’m super fascinated by this! I had a female cardinal come earlier this year to get nesting materials as well, but her husband never came along with her. I don’t know if this is standard behavior among house finches? I haven’t found anything online that says this is what they normally do, but I also can’t find much talking about what they normally do, period. 3. On an entirely different note, Riot Fest released its lineup yesterday and…I kinda want to go. Except it’s during peak week. And the last day of Riot Fest is the day of the 20 miler >.< BUT it’s also my birthday. And my company gives you your birthday off (or, in my case, the day after my birthday, since my birthday is on a Sunday this year.). I’ll probably wait until they release daily lineups to make any sort of actual decision, but this is the first time I’ve actually been interested in going to Riot Fest. I’m also mildly torn on what I want to do with the 20 miler being on my birthday this year. I mean, obviously I’m not going to skip the 20 miler. The bigger problem is that there’s a marathon in the suburbs that day…and it’s my 26th birthday. And I’m really, really tempted by the idea of running a 26.2 miles on my 26th birthday. And if I’m supposed to be doing 20 that weekend, I’d be physically capable of doing 26.2. 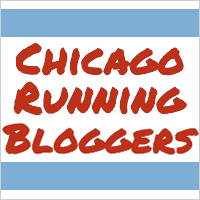 But then there’s the whole “Chicago Marathon is three weeks later,” thing to deal with, and I do want to do well at Chicago this year…. I don’t know. We’ll see how marathon season goes, I guess, and I’ll make a decision from there. I kind of doubt I’ll end up doing a marathon on my birthday, but man, it is SO tempting. Talk me out of running a marathon on my 26th birthday. Wow – that’s crazy you ran into a guy from childhood on the train! I don’t know if I’d be able to still recognize many folks from that long ago if I saw them now! Good call on using your headphones, I wouldn’t want to have to deal with all the awkward conversation throughout the entire train ride, too. On that note – one of my milestone high school reunions is coming up and I will be skipping it for sure. I have ZERO desire to go see my old classmates! Which marathon is on your birthday that you are considering? I agree it’s probably not a great idea to run it with Chicago being only three weeks later, especially if you’re treating Chicago as a goal race. Injury risk, burnout risk, and all those other factors are a lot to consider and it’s a lot to ask of your body. But I GUESS you could treat it as a 20-mile training run, and then just take the last 6.2 miles super, SUPER easy. Or heck, I’ve heard some folks go up to 22 miles in training, so you could do that and then walk the last 4.2… just saying. I know I’m not being great about talking you out of this, so I’ll just end by saying I admire the fact you are even thinking about it! It helped that he looked EXACTLY the same as he looked when he was 8 or 9, just taller. Haha. But yeah, it was a totally crazy situation! The Fox Valley Marathon in St. Charles is on my birthday. If I did do a marathon on my birthday, I’d make that my goal race instead, and then just do Chicago for fun. My original hope/dream for this year was to do Chicago as my goal race, and then either Marine Corps or NYC for fun, but I didn’t get into NYC, and I didn’t even bother applying for the Marine Corps lottery haha. But it’d be one thing to do those races for fun, because I’ve never done them, and it’d be a really cool way to see DC or New York. Chicago, on the other hand…I know that course backwards and forwards, and I don’t know if it’d be nearly as much fun to do for fun. But I haven’t started marathon training yet, so I’d be behind the game if I wanted to be ready come September 18. Decisions, decisions! A destination half for your birthday sounds like so much fun! Although if you’re going to go all out, maybe just a destination without the half would be fun, too – less soreness, recovery, etc. I KNOW. That’s the problem! If I weren’t turning 26, I wouldn’t even consider it. Though I just looked ahead on the calendar, and the next time my birthday falls on a weekend is 2021, which is when I’ll turn 31…which is how many miles are in a 50K…so at least if I don’t do the marathon on my birthday this year, it’s not entirely impossible that I could maybe run my age on my birthday in a race setting in the future. Though I’m not so sure I want to ring in 31 with an ultra! Is this the same race that has a 20 miler option? Maybe you could do that instead? It would be really cool to do a marathon on your twenty-sixth birthday, but I know you have big goals for Chicago. Would you be comprising your goals at Chicago and is that worth it to you? Indigo buntings are super pretty! I have never seen one before in the wild! Yep, it does have a 20 miler. I get a free entry into CARA’s 20 miler with marathon training, though, so it’s a little tough to convince myself to do a 20 miler in the ‘burbs that I’d have to pay for when I could do one in the city that I’ve already paid for. I would shift all my Chicago goals to Fox Valley if I ended up doing that, and then just do Chicago for the fun of it, but I’m not so sure I want to do Chicago just for the fun of it…life is hard. Haha. Hmm, the closest I’ve run two marathons back-to-back was six weeks so I can’t really say what would happen if I did 3 weeks apart! I suppose, though, that you could see how training goes and make a decision later. Does Fox Valley usually sell out? I’d be really surprised if Fox Valley sells out. I’ve never heard of it selling out (though I suppose I also haven’t paid *that* much attention), so I could probably see what this marathon season brings and make a late decision. Though after thinking about all of this, I did remember that I’ve signed up for a half marathon the following Sunday, and while it’s one thing to do a marathon and then reverse taper to the next marathon, it’d be quite a different ball game to do a marathon on Sunday and a half the following Sunday and then ANOTHER marathon in two more Sundays. Although that probably would be a great way to reunite with my physical therapist! Hahaha.